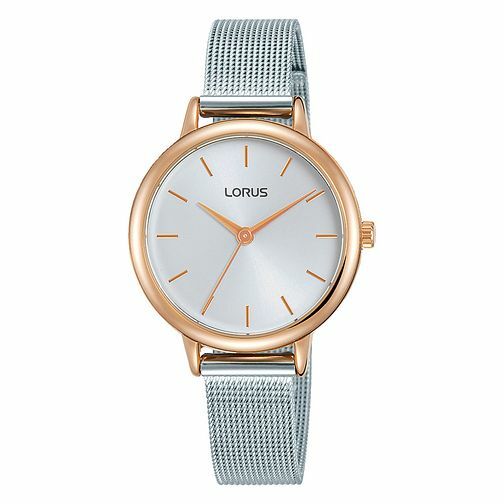 This stylish ladies' Lorus two tone bracelet watch is encompassed with a rose gold tone case and bezel featuring a sunray silver grey dial with three gold tone sword hands. The bracelet measures 12mm wide with an easily adjustable sliding clasp. The case measures 32mm wide, and this watch is also splashproof.